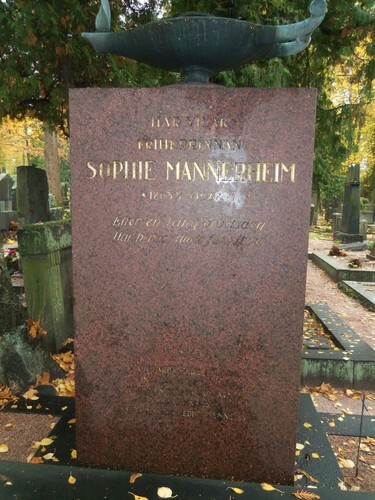 The tomb where Sophie Mannerheim is buried can be found on a hill of Hietaniemi Cemetery in Helsinki. 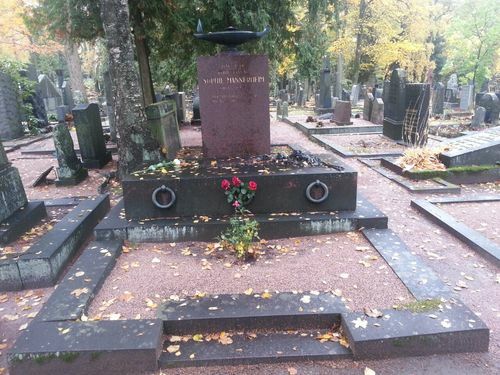 She was a famous nurse known as pioneer of modern nursing in Finland and was elected President of the Finnish Nurses' Association, a position she had for 24 years. 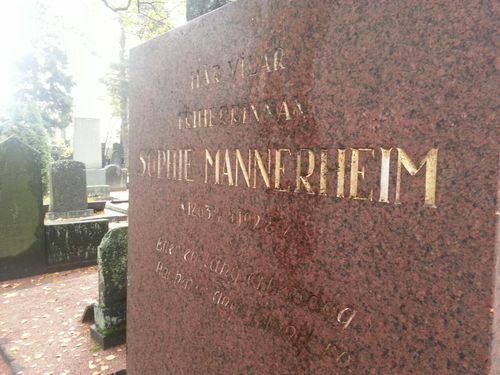 As a result of her international involvement she was also elected President of the International Council of Nurses (ICN). 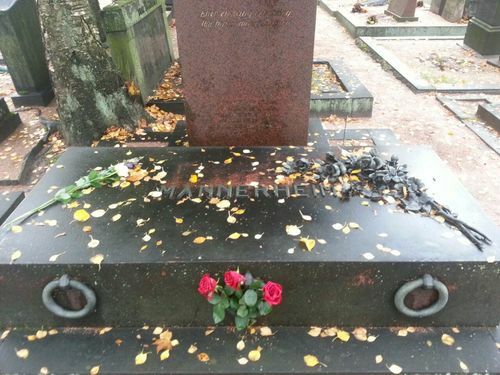 The lamp, usually placed on the graves of the nurses as a reference to Florence Nightingale, represents their sacrifice, selflessness and spirit of service.